When Conn betrays Darcy, she realizes that she can’t rely on anything—not herself, not the laws of nature, and certainly not him. 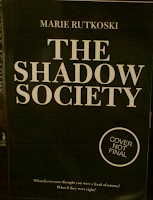 Darcy decides to infiltrate the Shadow Society and uncover the Shades’ latest terrorist plot. 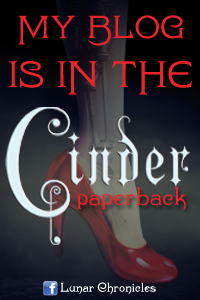 What she finds out will change her world forever . . .
Let me first say that Marie Rutkoski, author of The Shadow Society, sure knows how to set the stage of her novel by starting off with a mother of all hooks. Holy fire hose was that intense!! She really had me from the opening scene, and continued to draw me into her novel with her constant twists and turns. This book had enough fuel to keep me turning the pages at a rapid pace until the final outcome. Very entertaining! In The Shadow Society, we meet Darcy Jones who is a foster kid that’s jumped from home to home since the age of 5. She can’t remember anything from her past, but one thing is for certain… her future is about to take an explosive turn. When Darcy comes across Conn, the new guy in school, she begins to develop feelings for him. However when her abilities as a Shade suddenly start to manifest for the first time, that marks the beginning of her battle to stay alive even from the one person she’s come to feel closest to. There are so many layers to this story to evaluate. My mind was truly going at 100 mph as I turned the pages of this paranormal thriller. I was definitely intrigued with the setting this author chose, which revolved around the Great Chicago Fires. This was probably the largest disaster recorded in US history for the 19th century, where hundreds of people were killed and miles of land was destroyed. 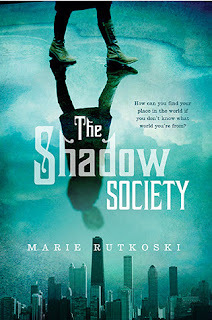 Rutkoski uses this time in history to set her stage and creatively implements the concept of an Interdimentional Bureau of Investigation that patrols the borders between worlds to protect human society. Their main targets are the Shades that ghost in and out of existence and according to the IBI, they are a terrorist group that prey on humans and caused the Great Fire of 1871. I applaud Rutkoski’s creative spin where she clearly parallels the Shades with the concept of terrorism. It’s hard not to contemplate how we consider terrorists synonymous with people of a certain place and faction. This book clearly employs the concept that simple association with a faction does not make someone a danger to society and terror on people can come from both sides of the fence… or portal in this instance. Lastly, I really enjoyed Rutkoski’s ability to build a strong secondary cast. Darcy’s friends were definitely the highlight in this novel and my only regret is that they played rather minimal roles. Conn best described them in the novel as Raphael fighting with his fists, Jims using psychological warfare, and Lily being the mastermind and leader of this small army that protects Darcy. 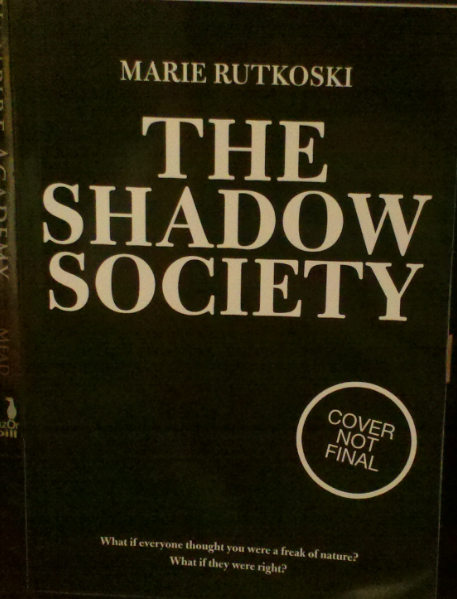 I enjoy reading about friendship and loyalty and The Shadow Society carried it in spades. Well done novel that is perfectly positioned as a stand-alone. It has an explosive beginning and a conclusive ending. I couldn’t ask for anything more and definitely enjoyed it much! 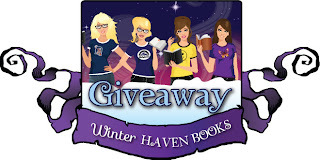 WinterHaven Books is giving away an ARC of this paranormal thriller. The book we are giving away does not have the final art cover. 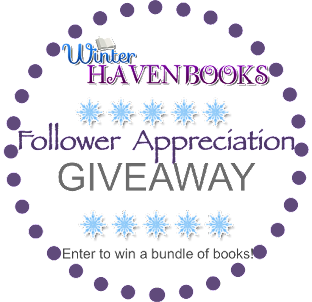 Please see the picture below and fill out the rafflecopter for a chance to win this ARC. Thank you! I'm so happy you liked this! I've recently just gotten into the paranormal thriller genre, but I haven't liked them all. However, the fact that your mind was going 100mph to evaluate all the layers in this book really excites me! I like books like that, so you made me want to read this even more! I've also been reading mixed reviews for this. But the premise sounds so fascinating that I still want to read it! I'm really excited to read this, though many of my friends have said it wasn't worth the hype. I just can't help but fall for it because of its gorgeous cover! This book sounds so interesting! It's been on my wishlist forever. Thanks so much for the giveaway!! This is one of those books that I keep seeing the cover for and I really, really want to read. I keep reading the description and I'm so intrigued. Hope I win! I saw this book a few weeks ago. It looks really good. Right up my ally! Thanks for the giveaway! Well firstly, the cover is awesome! If I saw in in Waterstones I'd pick it up. Secondly, the description is an interesting one. I love it when writers incorporate real events into their novels; especially when they add a paranormal/supernatural twist. Thirdly, the review was really good. Clearly, this book is worth the read. From what I can tell it is well written as well as a great story. It sounds like a fun book to review. It sounds really interesting and I really love the cover! Adding it to my TBR list! The cover looks great and it definitely sounds like my kind of book! I know I will enjoy it. As much as I enjoy a good series, sometimes a good standalone is a real treat. This is another new title for me and I am excited to learn more. Thank you for sharing with us. I totally agree. I love a good standalone. You are very welcome! Good luck! I love the description and I really want to read this book. Seriously, it really caught my attention<3 Thanks for the giveaway. Yay! You are very welcome good luck!